Dubai 05 October 2015: Dubai Customs received the excellence award in ‘Business Process Management’ from ICMG, the global leader in providing architectural services to clients across 42 countries. The jury panel also awarded Dubai Customs the Global CIO Award of 2015. The award, presented every year to organizations that are exceptionally committed to incorporating best practices in process management and enterprise architecture, was handed to Dubai Customs, putting it ahead of other competing international organizations from the USA, UK, Australia, India, Portugal and Japan to name few. 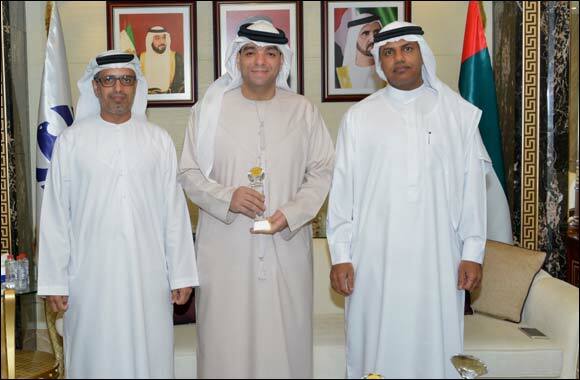 His Excellency Ahmed Mahboob Musabih, Dubai Customs Director, in the presence of Juma Al Ghaith, Executive Director of Customs Development Division, received the award-winning team from the Business Process and Enterprise Architecture Department and congratulated them for this new achievement. H.E. also confirmed that this achievement comes in as an added pillar to Dubai Customs’ consecutive and worthy scores on national, regional and international levels.